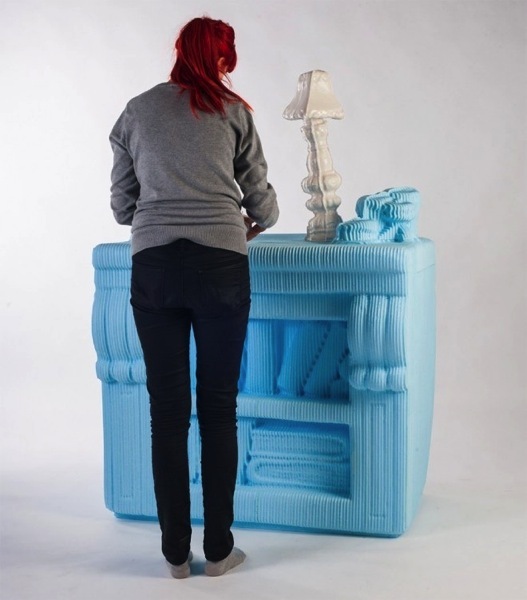 Doll Furniture Blown Up to Life-Size, Using #3DScanning, #3DThursday #3DPrinting « Adafruit Industries – Makers, hackers, artists, designers and engineers! …3-D scans are only as good as the object they’re based on, and unlike purely digital designs, any mass produced product will bear defects that reveal the way it was manufactured. Subtle mold lines, misalignments, and other deformities from mass production are captured in the digital data which are then passed on to the 3-D prints. Instead of minimizing these manufacturing malfunctions, [Slovakian design student Silva Lovasová] wanted to highlight them in the form of new designs. 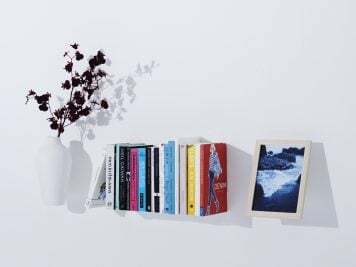 She was uncertain about how to best illustrate this phenomena until she found her muse in the form of miniature doll house furniture. “I was spending weeks surveying every toy shop in the city,” she says. 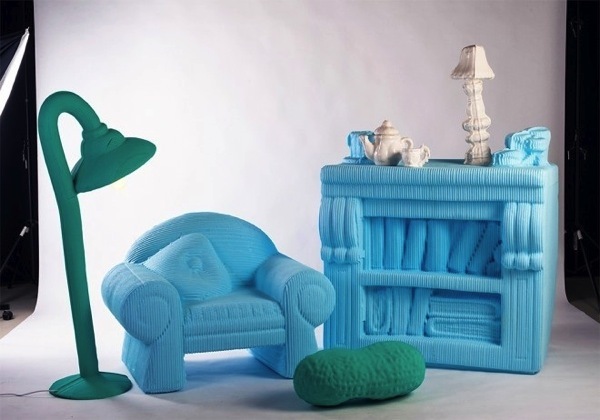 “I collected a sizable heap of miscellaneous sets, tea services, tiny houses with dolls and ponies.” She scanned the pocket-sized plastic furniture and scaled the resulting models up with her CAD tools until they would sit comfortably next to Ikea’s finest. Small imperfections in the original plastic parts became monstrous caricatures. A lamp that looked fine at a small scale leaned perilously at full-size and ended up looking like a distorted child’s drawing. A thin parting line on a tea pot became a nasty porcelain scar at human scale. Much like looking at your face in a high magnification mirror, every blemish and imperfection became disturbingly clear….